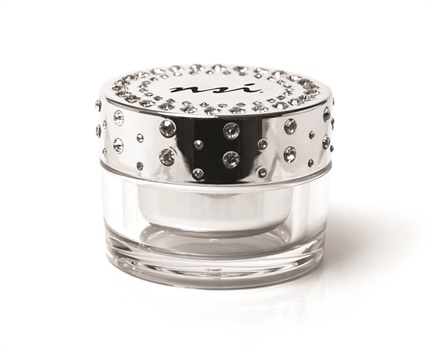 The NSI Salon Jar is a stylish, multi-functioning tool for nail technicians. It can be used to store acrylic powders, dip powders, glitter, bling, and more. The jar features a reusable insert that can be removed and capped for storage or sanitized after use as a dipping jar. For more information, visit NSI.